If you�re a student on an MBA or management course, you�ll be expected to demonstrate a knowledge of a range of models. This textbook collects together the 45 models most likely to be required, summarized in a standard format. Each entry contains a diagram of the model; the principles on which it�s based; underlying assumptions; guidance on application, and relevant issues; related models; and sources of further reference. Models are organized by subject area: accounting; business strategy; human resources; organizational strategy; and strategic marketing. An alphabetical matrix index means you can find the right model quickly. 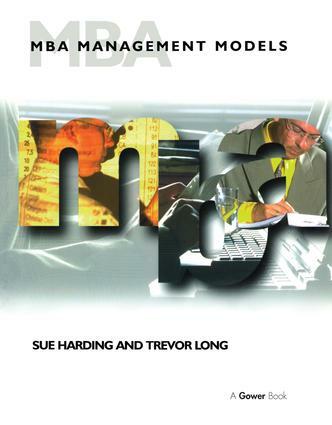 MBA Management Models will be invaluable to students working on written assignments, projects, case studies or dissertations, and to practising managers too.